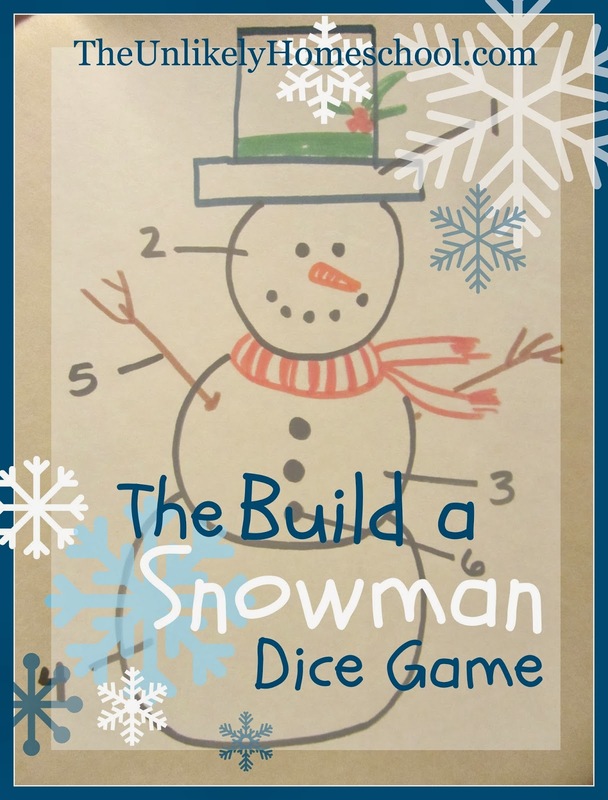 One of our favorite Christmas games on this year's Christmas Countdown calendar is The Build a Snowman Dice Game. This simple game makes for a fun addition to any kid-friendly Christmas or New Year's Eve Party...or even just a winter family-fun night. 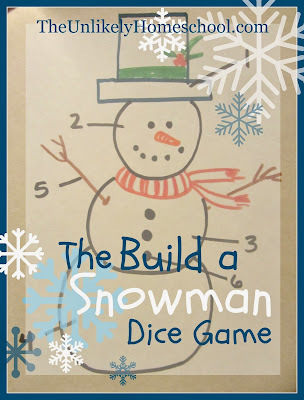 Assign each element of the snowman a number from the dice. If you are playing with really young kids, I'd suggest you only use one die and therefor only have six basic features to your snowman. If you choose to play with two dice, you would need twelve snowman features. Playing with two dice will make the game last longer. Divide players into teams. Supply each team with a piece of paper and a marker. Display the sample snowman chart so that all players can see it. Instruct player 1 from team 1 to roll the die. He/she must draw the snowman part that corresponds with the number he/she has rolled. The die is then passed to the next team and player 1 from team 2 must roll the die. This continues until one team has drawn a completed snowman to win the game. *We prefer to play with teams. But, you could choose to play without teams and give EVERYONE his/her own paper and marker allowing everyone to create his/her own snowman. Great game to play while waiting for food at Minsky's.